This all sounds familiar, no? That's because I copy/pasted almost that entire section from the first half results which you can easily read if you just CLICK HERE! If you're thinking that this little blurb will be about that terrible reboot that Team Ninja put out for the XBox back in the early 2000s, you are sorely mistaken. Ninja Gaiden deserved better than that. 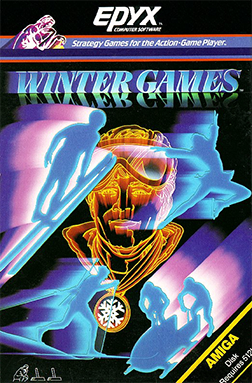 The original arcade and NES version came out in 1988 and was a straight-up blast to play. It was the first game to use cutscenes to advance the story and when you failed, which you would, you'd get to watch as a saw slowly creeped down on your character, taunting you into wanting more. There's not much I can say about The Oregon Trail that will be informative. Everybody knows what it is. And has dysentery. Or cholera. And will probably die. And have "_______ ate poop" etched into their headstones for future generations of players to marvel at for eternity. Parasite Eve was kind of a big deal. To begin with, the main character, Aya, was hot. Also, it was the first game to score an M rating for Square Enix. The game played in an environment that was about as open world as it got back in the late 90s as you fought monsters in New York City. It was, in many ways, a less creepy Silent Hill before Silent Hill came to be. Q*Bert is so beloved that right now, you can go to the Playstation Store and purchase a remastered version for under $10US. That might not be that big of a deal except the game came out in 1982 and is one of the first games that I remember playing. Q*Bert was one of the first puzzle games as you had to navigate a pyramid, make each of its blocks the same color, all while avoiding each of the five enemies trying to thwart your efforts. Plus, he "swore." Motorcycles and weapons. One could argue that for a few months before the release of the original Mortal Kombat on hoe consoles, there was no greater party game than Road Rash II. The game had 15 bikes, 5 courses that got progressively longer, nitrous oxide and tons of fun. The box may have said "Head to Head 2 Player Racing" but everybody knew it was "Chain To Head" racing. When Paul from construxnunchux.com asked a few of us for our Top 10 NES games, Super Dodge Ball made my list. The game was a 3-on-3 dodge ball match pitting different nation's fictitious representatives against each other. Each character had a special attack ball that could be required a well-timed catch or could, in some instances be dodged to avoid getting knocked out. Some players even had a Boomerang Throw that would come back for seconds. I'll never forget my first time playing Top-Gun on the NES. As a matter of fact, I'll never forget how bad I was at it at first, either. Part of the reason I won't forget is because of how much my grandfather, a World War II sailor, made fun of my for my butchering of the word "ensign," which was the rank you started the game at. Either way, pretty much every flight game I have played since then gets measured up against the amount of fun I had playing this very game. Unreal Tournament lays claim to being the game that told me I would likely never be good at first-person shooters. I have nothing else to say about it really. Because, for the most part, first-person shooters anger me. It's likely a "me" problem. As a matter of fact, I should have just picked UNO. XBox Live Arcade games are great. Virtua Fighter was the game that was to usher in the 3D era. In fact, it was the first ever 3D fighting game and, as such, is recognized by the Smithsonian for its contributions to the gaming industry. It was a blast to play in the arcade but its heavy cost to play limited just how much time I was able to invest in it personally until it came to consoles. I really could have chosen any wrestling game from the past 20 years or so of actually playing them. Except for any that had Doink the Clown (I hate that character). There's not a whole lot that I've missed through the years, but I've played this one with my son the most and he loves it. How could I not give it the nod? Even though the little jerk beats me far more often than I beat him. He's grounded now. Just because of this entry. X-Men: Legends would make my Top 10 All Time list. It was just fun. 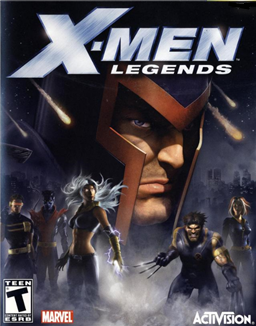 With a 3/4 overhead camera and using cell animations, players take control of four lovable mutant members of Charles Xavier's favorite class and lay waste to the enemy and environment. You could easily switch from team member to team member as necessary and you were given the power to decide which of the characters' powers grew with each level up. It was, and still is, and awesome game. A word of advice if you hang out with hard-core video gamers: It's Yars' as opposed to Yar's. There's a big difference or something. Either way, it's very likely that not a single Atari 2600 existed that didn't at some point load up this game. It wasn't really that great of a game but The Grape Ape wasn't that great of a show either. Both have massive nostalgic value. 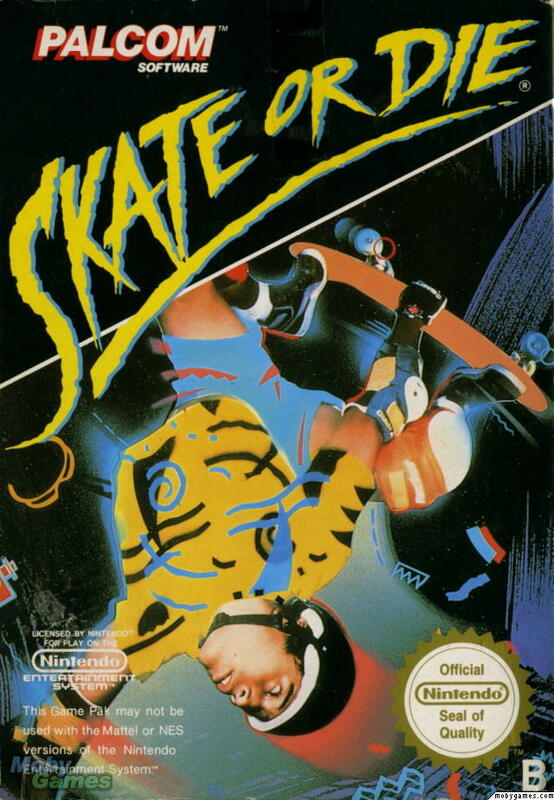 One of my best friends had this game when we were younger and became obsessed with it for a while. It was a 3D space shooter game for the PlayStation. The game wasn't great and the few times I played it, it didn't leave much of an impression on me. But Chris was bound and determined to beat it and I can't say that I blame him since, at that point, GameStop and places similar to that hadn't really become mainstream in the area where we grew up yet. Beating bad games was the only comeuppance for spending money on bad games back then. Well, this was certainly a blast. Being reminded of all these different games, whether I've had the opportunity to play them or not, makes for a good time. To be honest, that's why I still keep and play the old systems that I have and share those games with my son....who's still grounded. If you come across any games - new or old - I'd love to hear from you.